Childhood friends Jon-Arne Vilbo and Thomas Andersen had played together in a band called Delirium before, which in their own words “whittled away.” After several years of separation, the two friends met again and started making music together again. Andersen had met Jan-Henrik Ohme through his work as radio commercial producer and brought him into the jam sessions, which laid the foundation for Gazpacho as it exists today. The band name comes from an attempt to describe their music. Roy Funner played bass on the finished recordings of the band, though he wasn’t part of the writing process. For the drum tracks a computer was used. For two years the band worked on a concept album Random Access Memory; a piece of work which they discarded altogether when they felt they had not yet reached the level of musical maturity for such an ambitious project. All three members of Gazpacho were involved with the Scandinavian branch of Marillion’s The Web fanclub. This led to Ohme being invited to sing the Marillion track Afraid Of Sunlight at the Swap The Band show of the first Marillion Convention Weekend. At this convention the band handed out free four-track promos called Get It While It’s Cold to anyone interested. These promos also found their way to several internet magazines which gave the band almost unanimous acclaim with one reviewer calling the music expertly-crafted and truly inventive. In May 2002 the band entered a song contest on Make-A-Star with the song Sea Of Tranquility and won. Their second entry, Ghost made it to second position, but was enough to gain them the opportunity to release an album through MP3.com. Get It While It’s Cold (37°C) contained three tracks of the promo EP and three new tracks. One of these new tracks, Nemo saw the band winning the Make-A-Star contest for a second time. The release of the EP continued to garner the band international acclaim. The band was invited to perform at the second Marillion Convention Weekend. For their live band the band was further expanded with drummer Geir Digernes (who had also played drums on some of the tracks on Bravo) and for the performance of the title track they were joined by Mikael Krømer (violin) and Kristian Skedsmo (flute). The band was invited to perform at the second Marillion Convention Weekend. For their live band the band was further expanded with drummer Geir Digernes (who had also played drums on some of the tracks on Bravo) and for the performance of the title track they were joined by Mikael Krømer (violin) and Kristian Skedsmo. The performance at the Convention Weekend led to a support slot on Marillion’s 31-date European Marbles tour around 11 countries, further raising the profile of the band. For this tour Robert Johansen joined the band as the new drummer, and Mikael Krømer and Kristian Skedsmo also joined the live line-up. Prior to the tour the band released their second full-length album, When Earth Lets Go, giving them enough material for their live repertoire. On When Earth Lets Go the band collaborated with producer Steve Lyon (Paul McCartney, Depeche Mode, The Cure) who had agreed to produce one track Substitute For Murder to see if he could potentially interest any labels. Despite Lyon’s involvement, the increased awareness after the Marillion, and more rave reviews on their album the band was not able to secure a record deal. In the end their friends of Marillion came to the rescue offering Gazpacho the chance to release their next album on the band’s own Racket Records label. Racket released the band’s third album Firebird and re-released Bravo and When Earth Lets Go. The support of Marillion also led to the collaboration with guitarist Steve Rothery who plays a solo on the track ‘Do You Know What You Are Saying?’. Other guest appearances on the album came in the form of fans who had been encouraged to send in sound samples which the band would use. Among the unusual instruments featured on the album are maracas, a comb and a Leopard II battle tank. Roy Funner had left the band after the 2004 tour to focus more on his family and he was replaced by Kristian Torp. With the new line-up the band supported Marillion once more on 4 gigs during the Not Quite Christmas Tour. 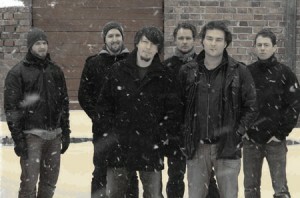 After this tour Kristian Skedsmo announced he no longer wanted to go on prolonged tours away from home and the live line-up was reduced to a six-piece band. 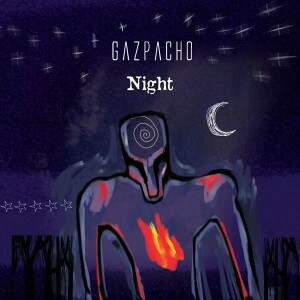 After a year of silence, Gazpacho’s 4th studio album ‘Night’ was released in February 2007. For this occasion the band was once more invited to appear at the Marillion’s Convention Weekend, this time in The Netherlands The band also played their first international headlining gig at the Boerderij in Zoetermeer, The Netherlands on February 1, 2007.
musical description of a dream or a stream of consciousness. It explores the question of where dreams end and reality begins and the mind as the tool that has to decide what to believe. The character goes through various memories real and imagined and sees the world from the angles of different people. He travels through time and visits places across the world including old New Orleans and Ancient woods with Pagan rituals being performed. Night is about life and the various ways of interpreting existence. Pretentious? Oh yes but delicious as well… very delicious. Mikael Krømer, who had played violin on all previous albums and live shows, was welcomed as a full-time band-member on Night, also earning a co-producer credit. Night also saw the return of Kristian “The Duke” Skedsmo, playing six different instruments on the album. Skedsmo rejoined the band for a one-off live appearance in Oslo on January 19, 2008. The album was almost instantly well received in prog-circles, topping the Just For Kicks Music sales chart for two weeks after its release. The (prog related) international press was almost unanimously positive, calling the album “very, very grand art”, “nothing short of a masterpiece” and “an incredible album”. The album charted in the reader’s top 20 at Progwereld for more than a year. Night also did very well in several readers’ polls at the end of 2007. The album was voted 9th best album of 2007 by listeners of Polish radio station MLWZ and 8th best album in the Dutch Progressive Rock Page Poll. The album is also in the top 10 of 2007 at Progarchives. 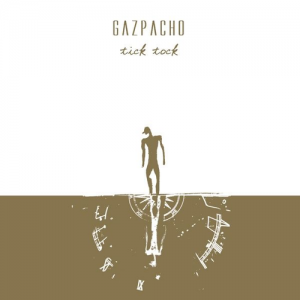 On March 15, 2009 Gazpacho’s 5th studio album “Tick Tock” was released on HTW Records (a division of Sony BMG). The album is based on the story of French writer and navigator Antoine de Saint-Exupery who took off in an attempt at a long distance flight from Paris to Saigon (1935). He crashed in the Desert many hours later stranded with his co pilot Prevot. Later he recounted his experience in a book called Wind, Sand and Stars and this story forms the basis of the “Tick Tock” album. 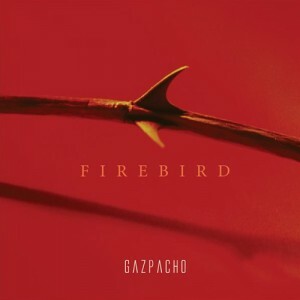 On 10th July 2009, Gazpacho performed as headliners at the Night of The Prog Festival in Loreley, Germany. The concert was filmed and released on DVD in January 2010 as “A Night At Loreley”. During the production phase of the DVD, drummer Robert R Johansen decided to quit the band due to personal circumstances. He was replaced in early 2010 by Lars Erik Asp. 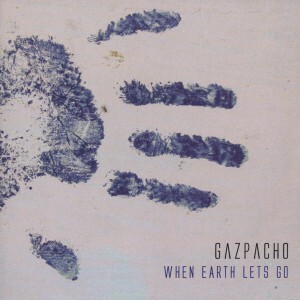 In 2011, Gazpacho signed to post-progressive label Kscope, a division of Snapper Music. 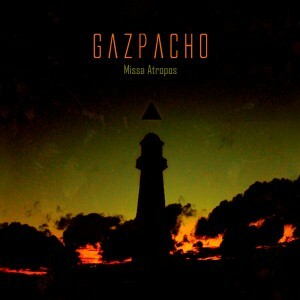 Gazpacho’s 2011 follow-up to 2009’s Tick Tock (Album of the Month, Eclipsed), Missa Atropos was an ambitious concept album. Dealing with themes of death, fear and loneliness, it combined the band’s musical skills and haunting songwriting to create a beautiful and hypnotic piece of art. 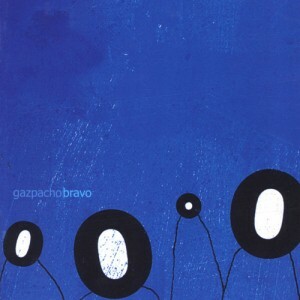 Darker than the band’s previous two albums, it still featured many of the distinctive characteristics of a Gazpacho album, with ambient passages, violin and classical music, elements of world music as well as real samples of coded information sent during the cold war on short wave radio. 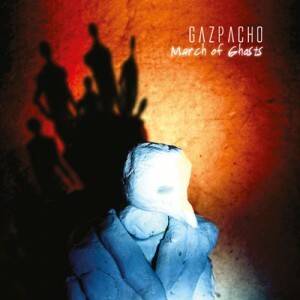 Gazpacho’s seventh studio album ‘March of Ghosts’ was released in March 2012 via Kscope. An ambitious album of short stories telling the tales of a variety of characters from beyond the grave, the record was widely acclaimed worldwide. A video for ‘Black Lily’ was released on 9th March 2012. The band began a European tour which consisted of 9 dates spread across Germany, Holland, Belgium and the UK. After a few months of not touring, the band returned for two dates in Poland in September. 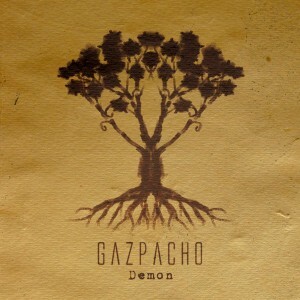 Gazpacho announced their eighth studio album ‘Demon’ in December 2013. A concept album, Demon has been described by the band as ‘the most complicated and strange album Gazpacho has ever made’. Demon will be released on 17th March, and a European tour followed it’s release in April 2014. The live album ‘Night of the Demon’ was released a year later, recorded at the show at De Boerdrerij in Zoetermeer. The live album was also accompanied with a concert film directed by Jon Vis. 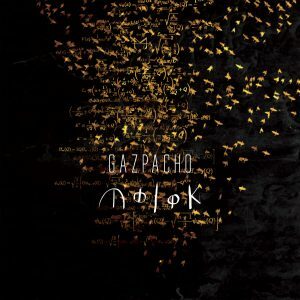 Gazpacho announced their ninth studio album ‘Molok’ in September 2015. This album saw the band continue to push the boundaries for creating the most complicated and strangest concepts for a record while simultaneously becoming the first band ever who are actively trying to destroy the universe with their album. A small code that sounds like a strange noise at the end of the album will cause the correction software that runs in all CD players to generate a random number every time the CD is played. If that number should correspond to the actual position of all electrons in the universe then technically the universe could be destroyed. The single ‘Know Your Time’ was released in September and the album itself was released on 23rd October. On 3rd October 2017, Gazpacho announced that drummer Lars Eric Asp had departed Gazpacho amicably due to time commitments. The band announced in January 2018 that former drummer Robert Johansen had returned and contributed drums on the forthcoming album. The album, titled ‘Soyuz’, was officially announced in February 2018 along with the release of single ‘Soyuz One’. 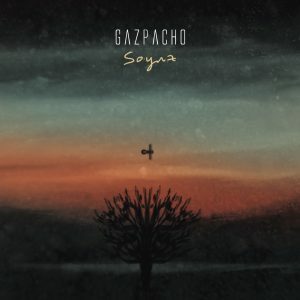 Gazpacho’s 10th studio album ‘Soyuz’ is scheduled for release on 18th May 2018.